It's the final day of my Halloween Spooktacular. I have one last project to share with you today and it's a duo of treat boxes. 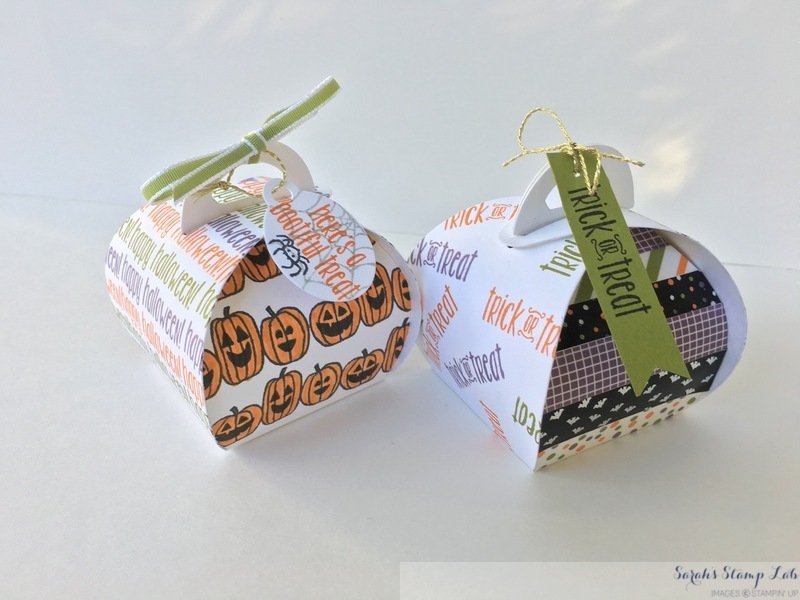 I used the Curvy Keepsake Box Thinlits to create the boxes. This die makes it super easy. All you do is cut out two of the box parts using the die and adhere them together on the bottom. I love using the Fast Fuse adhesive to put these boxes together. It's the best! Here is a view of the other side. The boxes are made out of the Thick Whisper White card stock. It is a much sturdier card stock than the regular Whisper White and is perfect for making 3D projects. 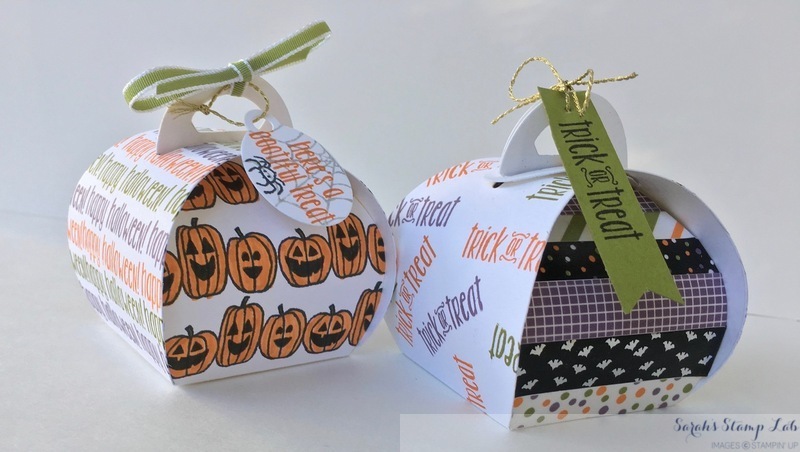 On two sides of the box, I stamped the jack-o-lanterns from the Spooky Fun stamp set over and over again in rows. 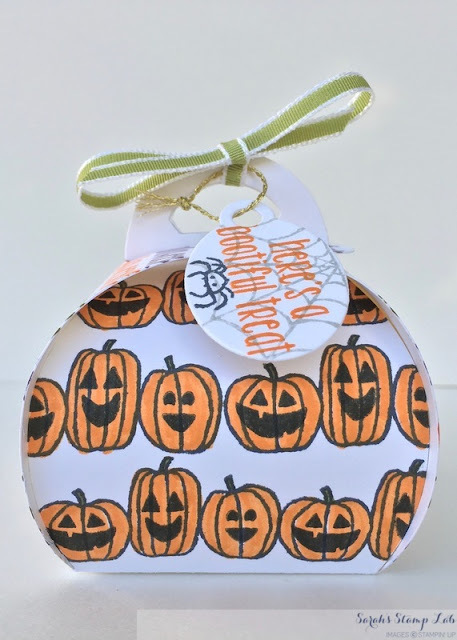 Then I colored the stems with a Garden Green Stampin' Write marker and colored the pumpkins with the Pumpkin Pie Stampin' Write marker. 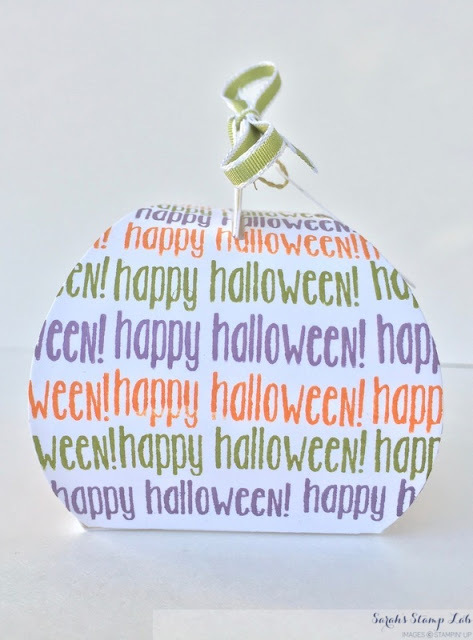 I also cut a take out of Whisper White card stock and stamped the web, spider and sentiment on it. Tip: The web was inked in Smoky Slate and stamped off once to make a lighter image. On the other two sides, I stamped the Happy Halloween sentiment in rows with alternating colors. 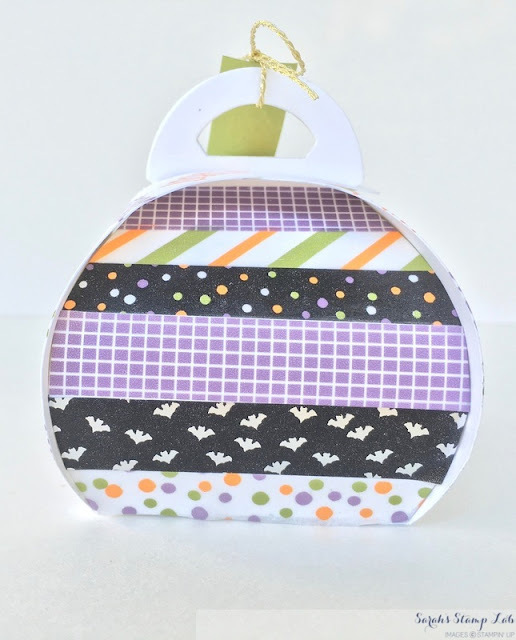 For the second box, I covered two panels in strips of the Halloween Night washi tape. 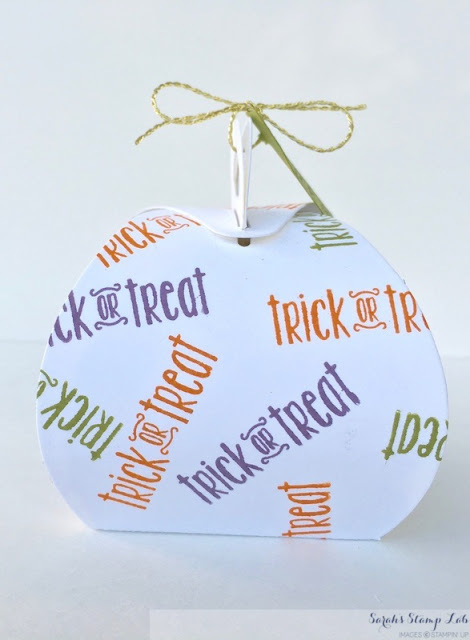 On the other sides of the box, I stamped Trick or Treat in different colors in a random fashion. I also made a little tag out of a scrap of Old Olive card stock and attached it to the box with some gold bakers twine. Here's one last look at the boxes with their tags. 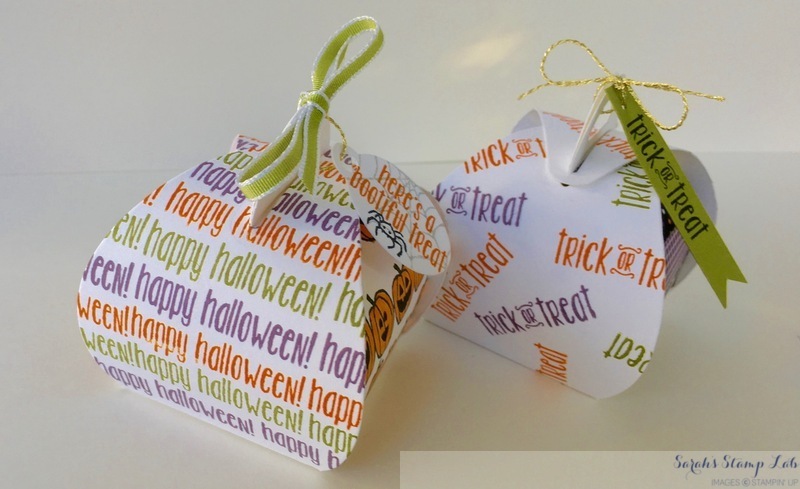 You can fit quite a few pieces of candy in these boxes. Give them away to all of the little Halloweens that show up on your doorstep this October 31st! Tags: made from scraps; Old Olive scrap: 1/2" x 2-1/4"